Many cycles predicting the �end of times� fill our modern dialog--from the coming of the Millennium to 2012. Robin Robertson helps to clarify these prophesies and offers insight into the central issues of our challenges and the experience and their life changing implications. 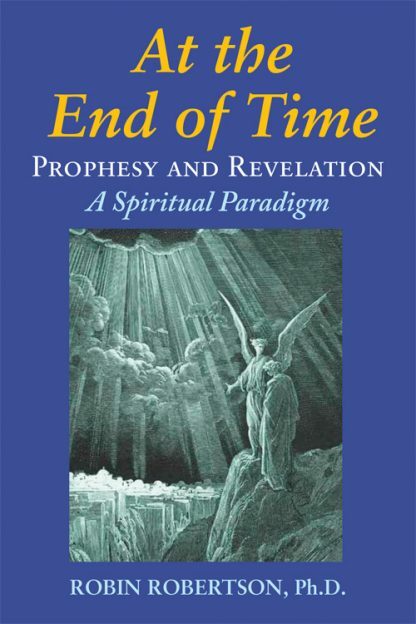 For eighteen hundred years, the prophecies in the Book of Revelation have captured the collective Western imagination. Saint John�s rich imagery and the dramatic urgency of the looming disasters he predicts have both fascinated and frightened us with its apparent message that the end of time is near. Robin Robertson, Ph.D. deciphers the mystical theology and visions of the prophets, seers and shamans. His analysis incorporates the insights of modern mathematics and Chaos Theory, as well as his personal insights gained through his work as a Jungian therapist and teacher. Robertson holds a mirror to humanity�s need to know Self and God. He explains that Saint John�s vision foretells the massive change in consciousness that is happening in our time. Robin Robertson is a psychologist with a Ph.D. in Clinical Psychology and MA in Counseling Psychology, a mathematician and the author of 16 books on subjects on Jungian psychology, science, chaos theory, and the arts. His books include Beginner�s Guide to Revelation, Mining the Soul from the Inside Out, and The Beginner�s Guide to Jungian Psychology.